Back in April, Rovio showed off a new feature for Angry Birds called Magic. It was an incredibly interesting feature with which new content was unlocked if two NFC enabled devices were brought together in real life. The trouble was that it only worked on a few Nokia handsets and so ended up as more of a limited beta test for the project. Now, Rovio has announced that it is expanding the features of Angry Birds Magic to include location perks, and it will be pushing the update to all platforms and versions of the wildly popular game. 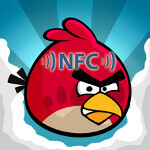 In addition to the NFC features which will allow users to unlock content through connecting with other devices and location-specific NFC tags, Angry Birds Magic will use GPS location data to unlock special content. The guys at Rovio are being picky about what locations make the cut, though. They want to be sure that the location and the content unlocked make sense, like unlocking the beach volleyball content if you visit certain beaches. More content for all versions of Angry Birds sounds great, but we shudder to think of the airfare that will be wasted when those addicted to Angry Birds have to fly around the world to collect all the new content offered only through location specific tags.